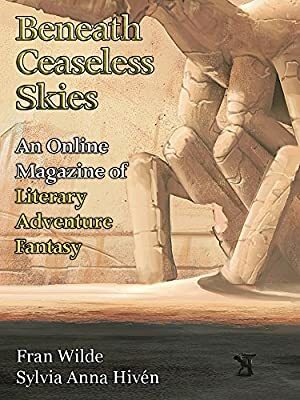 Issue #152 of Beneath Ceaseless Skies online magazine, featuring stories by Fran Wilde and Sylvia Anna Hiven. Log In to track Fran Wilde on eReaderIQ. to be notified each time the price drops on any book by Fran Wilde. to stop tracking Fran Wilde. Log In to track Sylvia Anna Hiven on eReaderIQ. to be notified each time the price drops on any book by Sylvia Anna Hiven. to stop tracking Sylvia Anna Hiven. Log In to track Scott H. Andrews on eReaderIQ. to be notified each time the price drops on any book by Scott H. Andrews. to stop tracking Scott H. Andrews. We started tracking this book on July 18, 2014. The price of this book has changed one time in the past 1,742 days. The current price of this book is £0.99 last checked 9 hours ago. We last verified the price of this book about 9 hours ago. At that time, the price was £0.99. This price is subject to change. The price displayed on the Amazon.co.uk website at the time of purchase is the price you will pay for this book. Please confirm the price before making any purchases.